VHQ was established in Singapore in 1987 as a small boutique post-production facility. 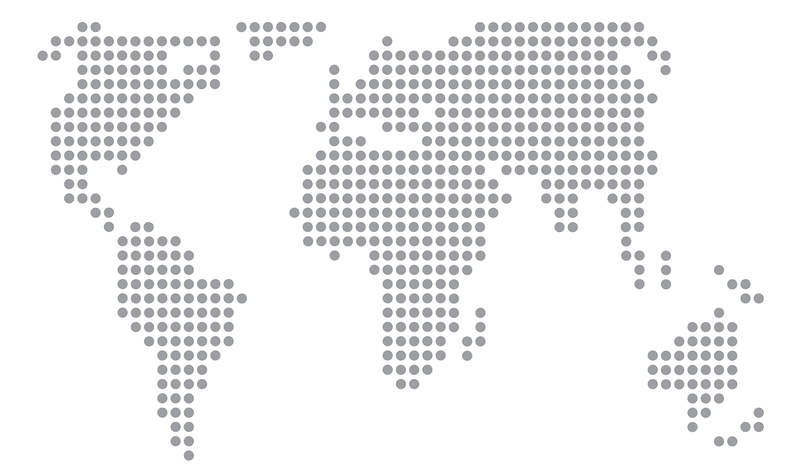 In its 3 decades of operations, VHQ has expanded throughout Asia with facilities in Singapore, Kuala Lumpur, Jakarta, Beijing and Taipei. 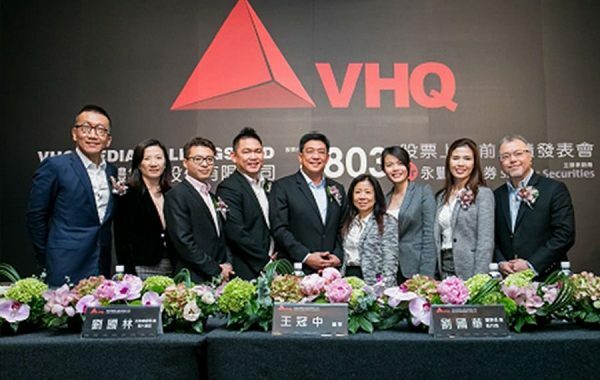 As a Singaporean company, VHQ has made its mark in the global media industry by working with client such as P&G, Unilever, Wanda Pictures and Alibaba Films. In 2014, VHQ Media Holdings Ltd was incorporated and was listed on the Taipei Exchange (Ticker – VHQ-KY 4803) in December 2015. From content development to performance optimization, we understand what it takes to produce meaningful content to engage and inspire. From the big picture right down to the finest detail, VHQ works with clients to create inspiring and captivating content. We will make your message heard and your moments seen. Let us tell your story. We are Asia’s largest post-production house, with top talent and the most advanced technology in the industry. For the past 30 years, we’ve helped international clients across various industries turn brilliant ideas into stunning reality. We’re masters at our craft and we have efficient workflows to deliver the best content to every client. Let us create your masterpiece. Dato Low is the Chairman and CEO of VHQ, as well the Country Head of VHQ Singapore. He is responsible for charting and executing growth plans for the international VHQ network. Dato Low has been with Yellow River Network, VHQ’s parent company since 1991. Subsequently, he was appointed as the general manager of VHQ in 1997. In 2001, Dato Low became the controlling stakeholder of VHQ through an MBO. Billy joined VHQ Singapore as an Engineer in 2001. In his present position, he is in charge of all equipment and software acquisitions. 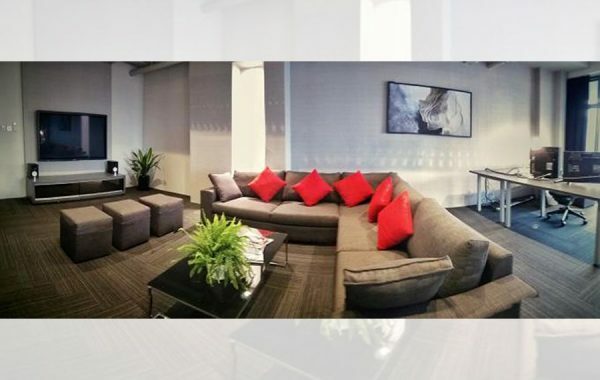 Billy has previously lead the relocation and establishment of new facilities in Singapore, Malaysia, Indonesia, Vietnam and China. For the past 7 years, Billy also has been leading the production of VHQ-sponsored content for Singapore’s national day celebrations. In addition, he has also been involved in producing advertising commercials and headed logistical planning and executions for content production. Fabian came to VHQ with 13 years of extensive experience in post-production and production. He has contributed vastly as an Executive Producer in his previous stints, from award-winning recognition to building strong talents. His knowledge, fuelled with his passion and people skills, is certainly an invaluable asset to the VHQ team. Dayne joined VHQ in 2012, bringing with him 22 years of experience in the visual effects industry, both as an artist and a manager. In his present position, he is involved in every aspect of VHQ’s film projects – from creating initial bids, shot breakdowns and shooting logistics, to managing large teams of VFX artists. Dayne’s list of film credits include John Carter, The Bourne Ultimatum, Batman Begins, Dead Mine, Stranger Than Fiction, 10000 BC, Harry Potter and the Order of the Phoenix, Harry Potter and the Half Blood Prince, Scott Pilgrim vs The World, Batman: The Dark Knight, and the Academy Award winning film The Reader. He is a Board Member of the Visual Effects Society (VES) and remains active in many of its international committees. As a pioneer in the field of computer graphics with over 25 years in CG and post-production, Jonathan has worked on both feature films and regional TVCs with brands and networks such as OMO, HBO, Discovery, Disney, SK-II and many others. Jonathan plays a pivotal role in the organisation’s CG work. His area of expertise ranges from photorealistic visual effects, character animation to 3D for motion graphics. He lends his knowledge to a team of experienced artists from across Asia and Europe with a strong portfolio of work. Jonathan’s passion for everything CG-related spurs him to constantly explore new and innovative ways to introduce and integrate this medium into commercials, event visualisation and art. 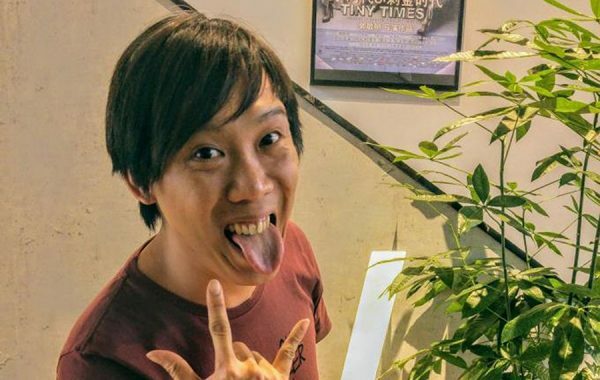 Kaze began his career as a VFX artist in Hong Kong before moving to Singapore. Prior to joining VHQ, Kaze worked on the animated series Star Wars: Clone Wars, before specialising in film effects team to create ground breaking fluid effects, dynamic simulations and particle effects for blockbuster projects like Pacific Rim, Avengers: Age of Ultron, Paranormal Activity: The Ghost Dimension and Strange Magic. With over 6 years of experience, Kaze assumes the role of VFX Supervisor in our Singpaore office. At VHQ, he oversees projects such as Mai Bing Bing, Legend of the Naga Pearis and iPartment across our Singapore and Kuala Lumpur offices. Skipz is responsible for the design and animation team at VHQ, covering recruitment/training, design of projects from conceptualisation to supervising the workflow, and allocation of resources, as well as supervision of technically-demanding shoots. He is also in charge of R&D and quality control. Some of the brands which Skipz has worked on include Nike, Coke, UNHCR, Tourism Malaysia, Sony, Shell, Petronas, Maybank, Maxis, Malboro, Calsberg, Visa, Dutch Lady, Toyota, Panasonic, Samsung, Canon, Loreal, AirAsia, and Malaysia Airlines. He is passionate mentor and a source of encouragement in any team he works with. As a 12-year veteran at VHQ, Lau supervises the design of projects. This encompasses conceptualisation, workflow design, and resources allocation. He also supervises technically-demanding shoots. Some of the brands which Lau has worked with include Tourism Malaysia, Shell, Petronas, Mobil, Hong Leong Bank, Maybank, CIMB Bank, RHB Bank, Celcom, Maxis, Digi, Malboro, Dunhill, Carlsberg, Visa, Dutch Lady, Proton, Perodua, Ford, Nissan, Toyota, Honda, Volkswagen, LG, Panasonic, Samsung, Hitachi, Canon, Nivea, Loreal, SK II, AirAsia, Malaysia Airlines, and Gintell. Cindy oversees the facilities department, managing the post workflow from scheduling to editing to delivery. She is VHQ’s liaison with clients, and is involved in pitches, billings, marketing, and PR. As the famous face of VHQ KL, Cindy has been with VHQ for half of her life. She has worked with many agencies, production houses and directors, and has produced countless projects. Before joining VHQ in 1990, she made her mark in video production for live events. Olivier joined VHQ Kuala Lumpur in 2017, bringing 12 years of visual effects experience in the Hollywood films and 7 years of experience as a multimedia project manager for CANAL+. His duties in KL’s film department includes the management of a 50 people VFX team, the bidding of new projects and the supervision before, during and after the shooting of a movie. His film credits include The Tree Of Life (Cannes Palme D’or 2011), Scott Pilgrim vs The World, The Great Wall, Kong: Skull Island, Interstellar, Fast & Furious 4 and 6, Thor : The Dark World, Iron Man 2, The Hunger games, Harry Potter and The Half Blood Prince and many more. Prior to joining VHQ, Olivier worked at major VFX companies such as Duboi-Paris, Prasad EFX magic, Cinesite-London, DNeg-London and ILM-Singapore. Olivier is a French national, he speaks French and English. He has a diverse cultural background from being born in France, growing up and living in Africa, moving to study twice in the UK and traveling to the USA, India, Italy and Germany for work with his latest station in Singapore. He holds a Higher Diploma in Computer Science, a Master in Multimedia Project Management and a Master in Marketing and Management. Backed by 15 years of industry experience as a Production Producer, Wan is responsible for coordinating production shoots for TVCs at VHQ. She joined VHQ in 2011 and has produced many TVCs for agencies as well as production houses. Mike joined VHQ Malaysia as Associate Producer in 2001 and was promoted to Producer in 2004. In 2008, he was posted to VHQ Singapore as a Senior Producer and Sales Manager. In 2011, Mike was stationed in Mumbai where he spent 4 years spearheading VHQ’s sales and marketing efforts by building a wide network of contacts and customer base which includes icons in the Indian media industry such as Shah Rukh Khan and Abhishek Bachchan. Much of the VHQ’s current business from the Indian sub-continent is a result of Mike’s efforts during his stint Mumbai. He was promoted to his current position in 2015 and is responsible for building and driving VHQ Indonesia’s business through the expansion of its client base and yield. Yusnita is responsible for the management of VHQ Indonesia’s production team to ensure the delivery of outstanding TV commercials to VHQ’s clients. Yusnita initially joined VHQ as a Receptionist in 2008, and quickly rose through the ranks to become a Senior Producer. With her passion for media and outstanding work ethic, she always looks forward to new challenge and exciting surprises, such as working with famous Indonesian pop stars like Afgan and Raissa. 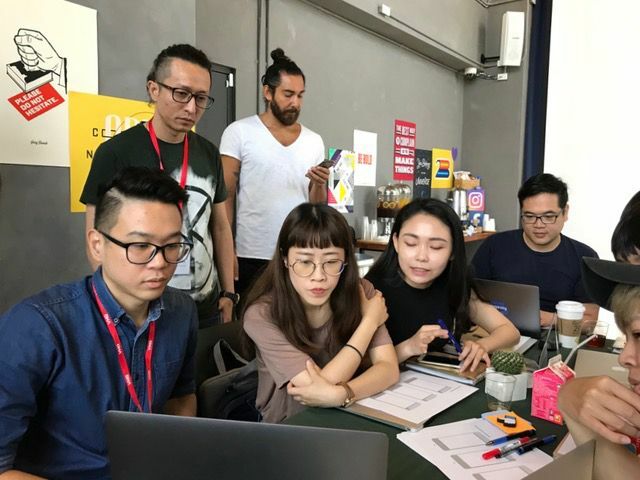 “Leading by example, yet stay hungry to leverage competency” sums up Richard’s guiding principle when collaborating with agencies, production houses or direct clients on any project. Richard is allow a passionate design coach for the team in Jakarta. He sees successful collaboration as a product of the combination of skill-enhancements driven by the focus on work ethics and team work. He has been passionate about motion graphics and design for over a decade. Richard has been with VHQ since 2011. Kelvin began his career at VHQ Singapore in 2003 as a Producer and Project Manager. He played a key role in setting up the operations at a brand-new facility housed at the Atrium to service MTV and Nickelodeon Asia. 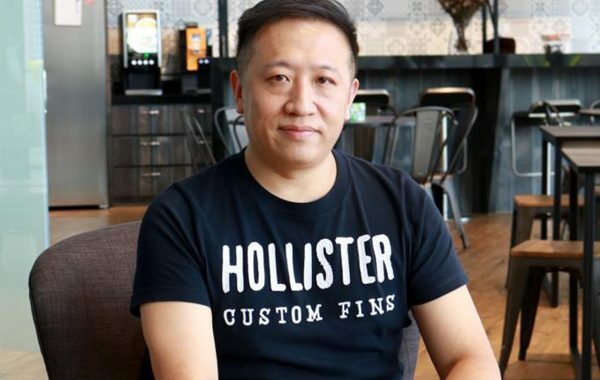 In 2008, Kelvin was appointed as Country Head / COO for VHQ Vietnam in Ho Chi Minh City where he successfully built and managed an in-house studio, and launched a VHQ-owned cable channel named E:Sports Channel, carried by HTVC Vietnam. Kelvin was posted to VHQ Indonesia as its Country Head / Executive Producer in 2010 and appointed to his current position in 2014. Ben joined VHQ Singapore in 2010 as the Executive Producer for Greater China. In 2013, when VHQ China opened its doors, he was tasked with as the Head of Production. Ben was promoted to his current position in 2015. Prior to joining VHQ, Ben spent 8 years as a CG Lighting Artist and Visual Effects Supervisor in New Zealand, working on animated feature films for the Hollywood and the European markets. Ben never fails to puts use his broad experience in film production, budgetary preparations, operations, resource management and wide industry contacts to good use. In a career spanning 14 years, Ben has worked with the notable and acclaimed Film Directors from the US, Europe and China such as Tony Bancroft, Frank Yablans, Jean Jacques Annaud, Lu Chuan and Guo Jingming. As the Director of Business, Kenn is VHQ’s Sales and Marketing expert. In his present position, Kenn is responsible for business development, pre and post-sales management, and handling of key accounts in Greater China. 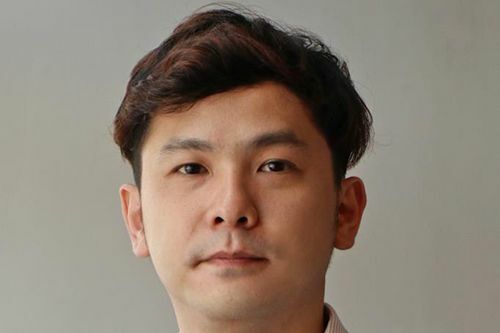 He joined VHQ in 2003 as the Vice President of New Media, where he spearheaded the development and subsequent licensing of content to Starhub in Singapore. 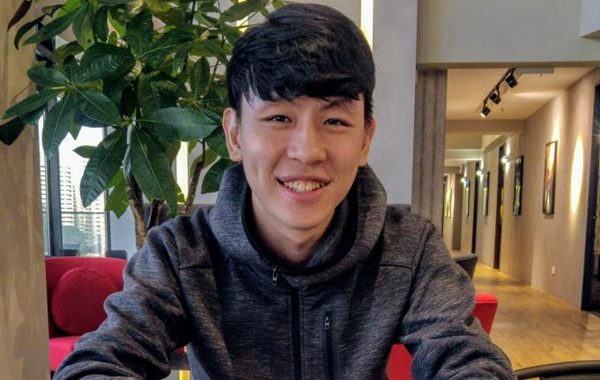 Kenn also played a leading role in securing corporate sponsorships and advertising for VHQ’s cable channel, E:Sports, in Vietnam. In 2010, Kenn was posted to China and was tasked with the development of VHQ’s business in that market. 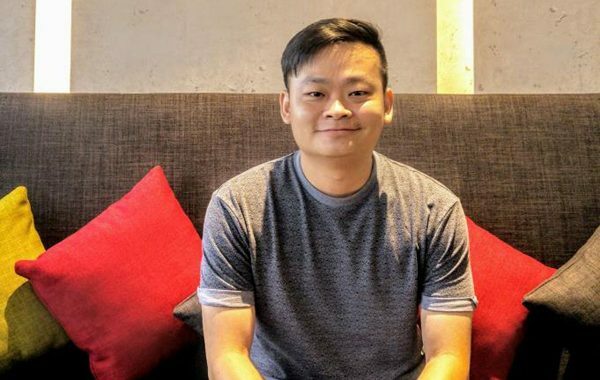 William is primarily responsible for setting high creative standards for VHQ China, focusing on advertising and short form work. He plays a key role in the recruitment of talents, both within and beyond China. William joined VHQ Malaysia in 2002 as Visual Effects Supervisor. Having built up a formidable creative team in Malaysia, William was promoted to Creative Director of VHQ Singapore in 2005, where he spearheaded VHQ’s creative work for leading clients such as DLKW Lowe London, Lowe Singapore and Artek Partnership Jakarta, wining multiple regional and international awards along the way. He was then promoted to Executive Creative Director of VHQ China in in 2015. Chris has over 10 years of visual effects experience in both Hollywood and Chinese films. His film credits include Martian, Tarzan, Ironman, 2012, and Constantine, while supervised film credits include Legend Of The Naga Pearls, The Last Supper, When Lights Goes Out and numerous TVCs. Chris treats every piece of his work like a masterpiece. With a strong background in art, photography and music, along with his passion for film-making, every piece of work that Chris produces is a brilliant and stunning work of art. In his 8 years of film and commercial production, Danny has worked at numerous production houses as a Post Production Supervisor as well as on dozens of film and TV commercials as VFX Supervisor. He started his career as a 2-D Animator and Layout Artist, before venturing into Digital Production. His film works include Tiny Times series, Ghost Blows Out The Light and League of Gods，Forever Young. Li Yan was born and raised in Beijing Hutong. He graduated from the oil painting department of Central Academy of Fine Arts in 2001. Being fully influenced by art, he then turned to digital paint art, TV and filmmaking. 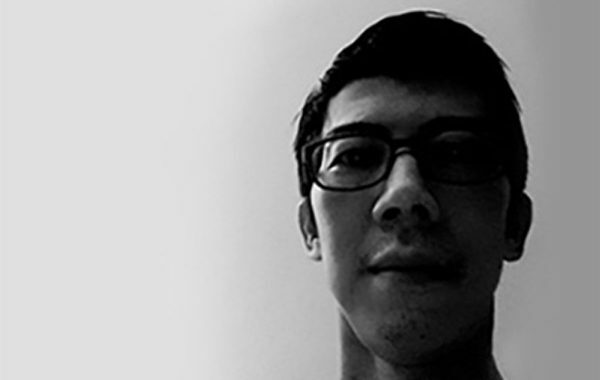 Yan has over 10 years of experience in film and TV art, as well as post-production FX. He also possesses a strong understanding of art design, VFX art, and team management. He has engaged in many film and TV projects of various styles and genres which range from realistic life-like themes to animation. Yan has credits in works such as Piggy BingBing ,Don Quixote, The Monkey King, Monk Comes Down the Mountain, Shaolin, and The Game Changer. 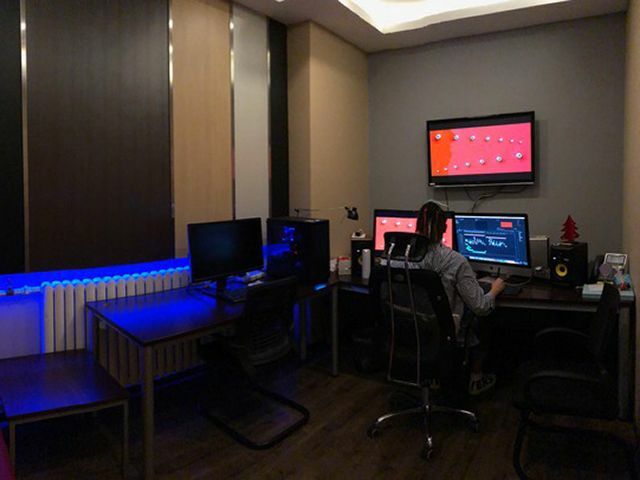 With many years of post-production experience in first-rates shows, Lucas is equipped with strong knowledge in the entire post-production process. He is very proficient conceptualising technical and visual imageries based on complex scripts and is highly skilled in managing challenging tasks. Lucas is highly able to make FX analyses and cost accounting for producers in film and TV projects. He has worked on over 30 well-known animation, film and TV projects in China and abroad. Some of Lucas’s work include Empires of the Deep, Switch, Special Identity, Sophie’s Revenge, For Love Or Money, and Legend of Nine Tails Fox. Paco brings onboard almost 10 years of experience in VFX and feature film industry with a strong skill in image control. Benefiting from his great imagination, excellent technical capability in problem resolving and years of professional management experiences, Paco has always been quick in problem solving, while providing great solutions for the team he work with. He is experienced in many kind of feature films, TV dramas and TV Commercials. His credit list goes with Ra One, Racer Legend, The Chef, the Actor, the Scoundrel, Happy Hotel, Young Detective Dee: Rise of the Sea Dragon, The Monkey King, Man of Tai Chi, Once Upon a Time, Monk comes down the Mountain, Buddies in India, and Time to Love, Skiptrace, Inconceivable, League of Gods, Great Expectations and Chinatown Detective 2 and more. Tonny has in-depth knowledge in filmmaking (technically) and management experience in VFX and feature film industry and he joined VHQ as On-set VFX Supervisor. He never fail to comes up with feasible plans and creative ideas to serve any director’s needs, and able to handle unforeseen circumstances calmly to ensure the shooting process goes well, so that accurate backup of onset data are well captured. This will provide post-production artists a better image control to ease the whole VFX production process. Tonny has worked on many movies projects, including Three Kingdoms, Confucius, The Chinese Orphan, The Flowers of War, two US Emmy Awards Winning films Boardwalk Empire and Pacific War for Best VFX and more. Dato Low is the Chairman and CEO of VHQ responsible for charting and executing growth plans for the international VHQ network. Mr. Low has been with Yellow River Network, VHQ’s parent company, since 1991. Subsequently, he was appointed as the general manager of VHQ in 1997. In 2001, Mr Low became the controlling stakeholder of VHQ through an MBO. Mikki Ho joined VHQ in 1993 as the Executive Secretary to the Chairman. Over the years, she was exposed to many facets of the business, including finance, administration and HR. By 2001, she was the Head of Administration and HR as well as the Credit Controller of the various VHQ companies, Mikki was part of the management team involved in the successful MBO of the VHQ companies in 2001 and became its shareholder and Director, with Administration and HR portfolio. 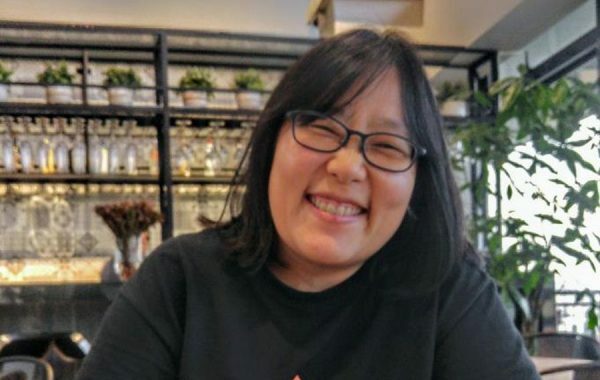 She is also part of the Corporate Team in VHQ, involved in the restructuring exercise prior to VHQ’s Series A fundraising in 2014 and throughout the entire process leading to its eventual IPO in 2015. Ashley joined VHQ as Finance Manager in 2012. She became VHQ Media’s Financial Controller in 2014 and subsequently she was promoted to her current position in 2016. Ashley oversees all aspects of VHQ’s finance, accounting and treasury department, where she is responsible for financial planning, budgeting, audit and reporting. She also played a key role VHQ Media’s Series A fund raising exercise in 2014 and in the run-up to its eventual IPO in 2015. Renae joined VHQ Malaysia as Assistant General Manager in 2012 and was promoted to her current position in 2013. Apart from being tasked with the overall management of VHQ Malaysia, Renae is also a member of VHQ Corporate team. She played a key role in VHQ Media’s Series A fundraising in 2014 as well as in the run-up to its eventual IPO in 2015. She continues to be involved in financial planning and liaison with investment bankers, auditors and lawyers. Prior to joining VHQ, Renae was a Marketing Manager for one of the largest dental supply company in the ASEAN region.